“Chat apps will come to be thought of as the new browsers; bots will be the new websites. This is the beginning of a new internet.” –Ted Livingstone, Kik Founder. If you are a developer or an entrepreneur trying to build an app, you might want to pay attention because your next requirement or project could just be a bot. Bots are one of the hottest trends in the technology and business world today and we want you to stay ahead of the curve for the next potential disrupter in the industry. If you just said that bots are not new entrants in this space, you’re right. The real reason the bot rocket is about to take off this year can largely be attributed to tech giants like Facebook, Google, Microsoft, Amazon and others who have been steadily incorporating AI or Artificial Intelligence technology into their roadmaps for the future. This-while the rest of the world has been busy with mobile apps. 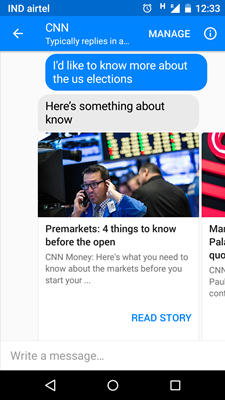 Microsoft’s announcement of a bot framework in March and the unveiling of a bot creation platform for Facebook Messenger in April made the rest of the world sit up and take notice. From then till now, not only has Facebook helped launch more than 10,000 bots for businesses,countless other clients have either used pre-built bots off ‘Bot Stores’ or have just built their own. You can call bots “web robots”. They are personal, intelligent applications that can automate tasks that you would normally do on your own. How can bots benefit your business? These are the most common type of bots being used for businesses today. You could use basic chat bots to initiate and respond to customer queries and feedback and more advanced ones to perform tasks for your customers. Customer insights and personalization: Bots can gather and store your customer’s preferences and later personalize that interaction going forward. This could be much more efficient than an agent having to look through profiles and past booking history in a CRM. Response-time and accuracy: Unlike a human, a bot will be available 24X7 to accept and respond to your customers’ queries. These responses will not only be immediate but also consistent. Lower cost and development time: A customer can reach out to you, discover products and buy without ever leaving that chat window-eliminating the need for you to spend time, money and other resources developing, launching apps and then worrying about maintenance. Higher conversion: With a bot, you could reach out to your customers and they can reach you from the apps on their phone where they spend most of their time. Payjo.in: In their words, ‘India’s first recharge chatbot’. Dominos UK: Lets customers order pizza by typing in a single word ‘pizza’ to the ‘Dom’ bot on Facebook Messenger. You could use these bots to provide anything from weather updates, custom news feed, sports scores, discounts, promotions etc. depending on your product or service. While these bots are generally not meant to be conversational, this is something you could work on for your brand. 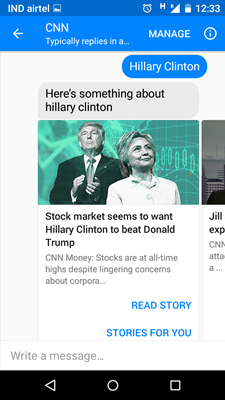 A query like “I’d like to know more about the U.S elections’ oddly resulted in the bot focusing on the keyword ‘know’ instead of ‘U.S elections’. Simply inserting the main keywords versus a sentence resulted in a more accurate response. You could also use this as a good channel to promote paid or recommended content. As of Aug 16th, 2016, Facebook has removed the restriction around promotional content on Messenger. Built on the Slack platform, the ‘Nextup Jira bot’ can give your business real-time updates about Jira tickets raised without users having to log-in to the system. All you have to do is mention the ticket id in your conversation feed and the bot will give you all required details and status of your Jira ticket. A bot developed by ‘Bithound’ provides users with a code checking service. The bot analyses your code and provides your team with a set of issues to fix on priority. Bots like ‘Sugarbot’ and ‘Rocketbolt’ monitor and tracks potential leads in all your marketing channels and tag them to your support team who can then keep track of and update the status on the lead. ‘Alertbot’ monitors your website and server for performance issues and alerts you accordingly. ‘Kit’-a fantastic bot acquired by Shopify this year sits on Facebook Messenger and will automate everything from writing and posting Facebook ads, retargeting customers, writing promotional /thank you emails to customers, etc. Another great marketing bot is ‘advertise.ai’ which will track and respond to queries on your Facebook campaigns. The bot from ‘remindme.tech’ eliminates the need to download and manage a to-do list app. Type in short, quick notes to your bot and it will keep track of your tasks. Another good personal assistant bot comes from ‘Zoom.ai’.The bot will schedule and re-schedule your client meetings based on your meeting preferences. It can also send reminders and book Uber rides and flights if required. Training new hires and keeping updated information available to employees can be a big investment of company resources. A bot called Obie.ai built on Slack can be your go-to bot for any knowledge your team may require regarding processes, company policy, best practices, etc. Unlike a human trainer, obie.ai will never tire of answering questions and will give consistent, accurate knowledge. By now you probably have a list of items that a bot could help your business with. With the bot explosion early this year, there are now countless resources available for developers and non-developers alike to build their own personalized bots. Plan: Your first bot with Meya is free. It is simple, easy to use and understand. You can test each feature you add to the bot immediately upon adding it. Though knowledge of coding is not required, having some basic understanding would help quicken the process of trying to create more advanced features. People with no coding knowledge would find creating a chatbot easier than anything else. Also comes with various examples of flows for your reference and can also be integrated with various apps like Slack, Twitter, Facebook Messenger, etc. Plan: First two bots are free. The website’s pitch says it all –“if you can draw a flowchart, you can create a chat bot”. Once you log-in, the build interface has drag-and-drop features and unlike other tools, you do not see a lot of code input required from your end. The tool gives you a very visual idea of how the bot will work and makes it much easier for you to understand and tweak the flow to suit your own requirements. This tool is guaranteed to aid anyone with no coding experience. If a basic chat bot is all you want, then this might be the tool for you. The home page has a list of user-created chat bots that you can check out. While they make look rudimentary, you will find the bot quite smart and effective. This is Gupshup’s platform for bot building designed for developers to create, test and deploy their bots. It also has a bot store for builders to promote their creations. While there are tutorials and documentation available, we would not recommend this tool for non-coders. 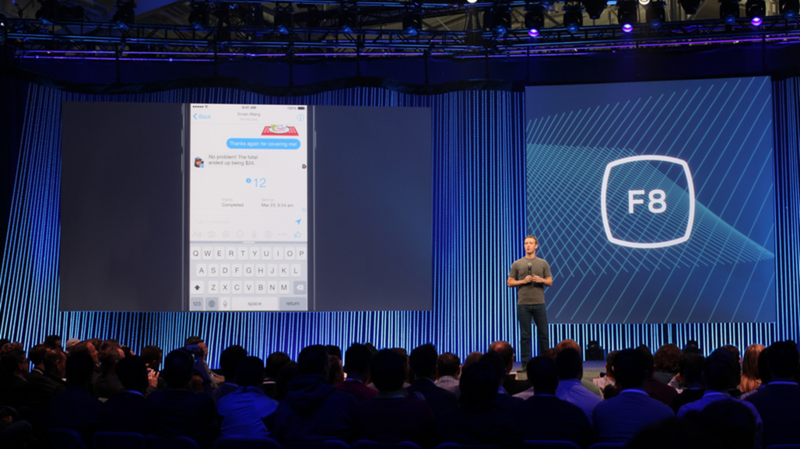 Chatfuel also helps you build a Facebook messenger bot with no coding required. The builder lets you add content in the form of text, images, forms and even plug-ins where you could pull information from various sources according to user input. For example- Google search. Once you’ve built your bot, your next step is to get the best infrastructure to host it and cater to the growing traffic it will attract. Our Dedicated servers are the best choice to ensure your customers never suffer from any down-time. 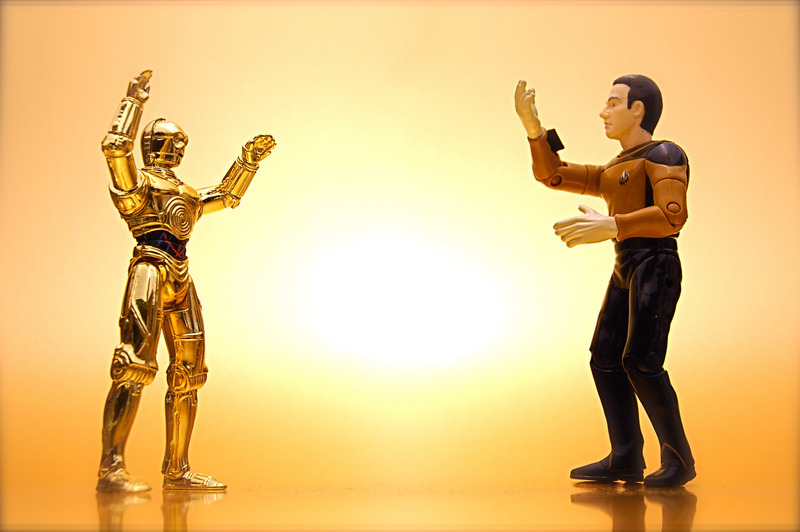 Before we end, a short note to our web designers -If bots are the future, is GUI dead? Not really. There is quite a lot of design and user-experience input required at this stage of bot development. Particularly for users who will be transitioning from the familiarity of mobile app interfaces. Some bots being built today make use of buttons, images and videos to interact with customers. A UI designer will therefore need to design bot screens as they would app screens—only this time in a conversational flow. We hope we have introduced you to an exciting new topic. Let us know if you found this post useful and if you plan to incorporate bots into your next project!